Perfect for downsizing and still have a little outdoor space in Park Place. 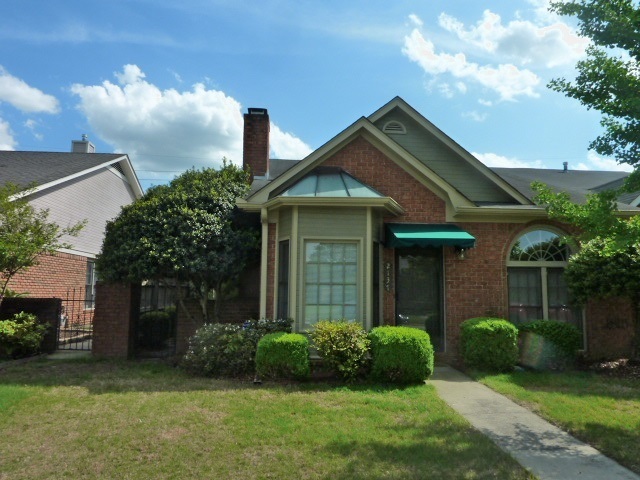 Lovely end unit has 2 BR 2 BA, 9-ft ceilings, bay window and gas log fireplace in LR. Separate dining room has a wall of display shelves. Eat-in fully-equipped kitchen has floor-to-ceiling bow window looking onto side yard patio. Connecting hallway between BR 1 and 2 provides easy access between bedrooms. Sunroom looks out to park-like patio and landscaping. Access to garage from alley. Dining room and master bedroom cabinets remain and are movable. Walk-in shower in hall bath.